"The walls are tilting and the roof is falling off. Can I fix my house?" Heather got to fix it as she asked. Yesterday a friend shared that she hot glued her gingerbread house to make it beautiful. My kids like to eat it, so that wasn't an option. Assembling and decorating a gingerbread house has become a yearly tradition. Tonight the kids decorated it, and tomorrow they will break it apart and eat it with friends. Aren't these the cutest reindeer? The ones we tried that a friend made were peanut butter cookies. I couldn't find my favorite recipe for peanut butter cookies (someone threw away the empty butter Crisco can) so we tried something new- pudding cookies made with pudding and Bisquick. Cute, but not so tasty. We had fun making these snowman from hand prints on ornaments. One teacher I work with does this every year with her first grade students. I found instructions here. 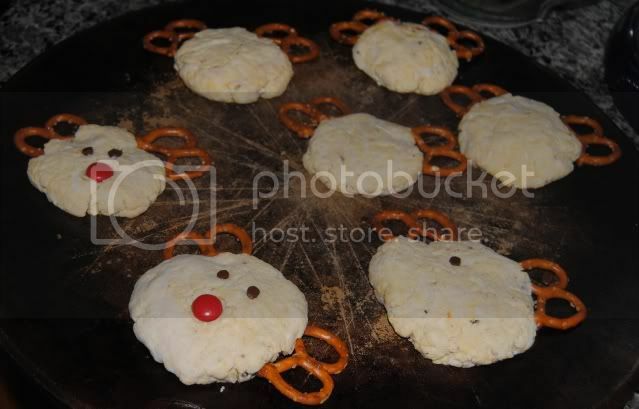 I've seen the reindeer cookies before but forgot all about them. Looks like we can add "antlers" to basically any cookie recipe. Nothing special. I like that. What a fun idea for Christmas balls!!!! My dh still has his ball ornament they made in K or 1st grade too. I love the snowman ornaments. I think we will make some of those. Thanks for sharing. Delighted to meet you! Hope you don't mind if I splash around to get to know you a bit. This looks like a refreshing place to dip and get drenched in goodness. Sooo cute~try the cake mix recipe...super easy and TASTES GOOD too~ Love the ornaments!~HUGS! 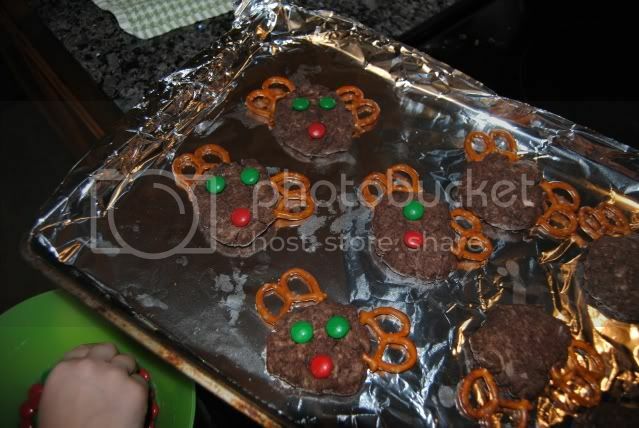 We make those same reindeer cookies every year as our cookies for Santa. 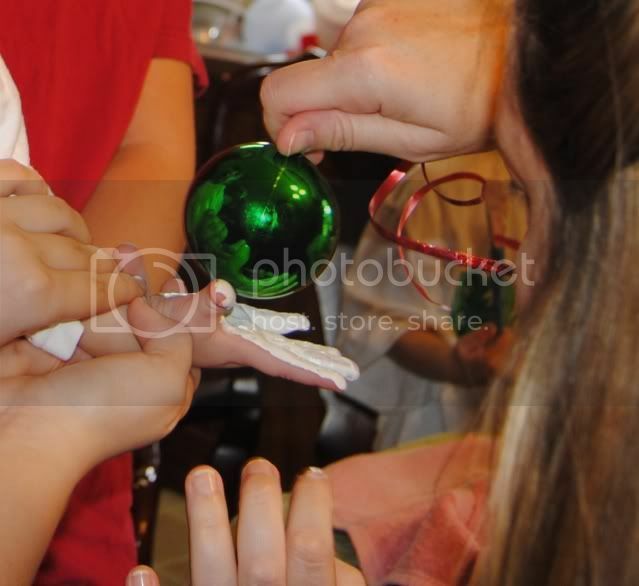 ;-) I LOVE the ornament idea! Thanks for sharing. Oh, that's a lot of cuteness. Those ornaments are sooooo adorable.